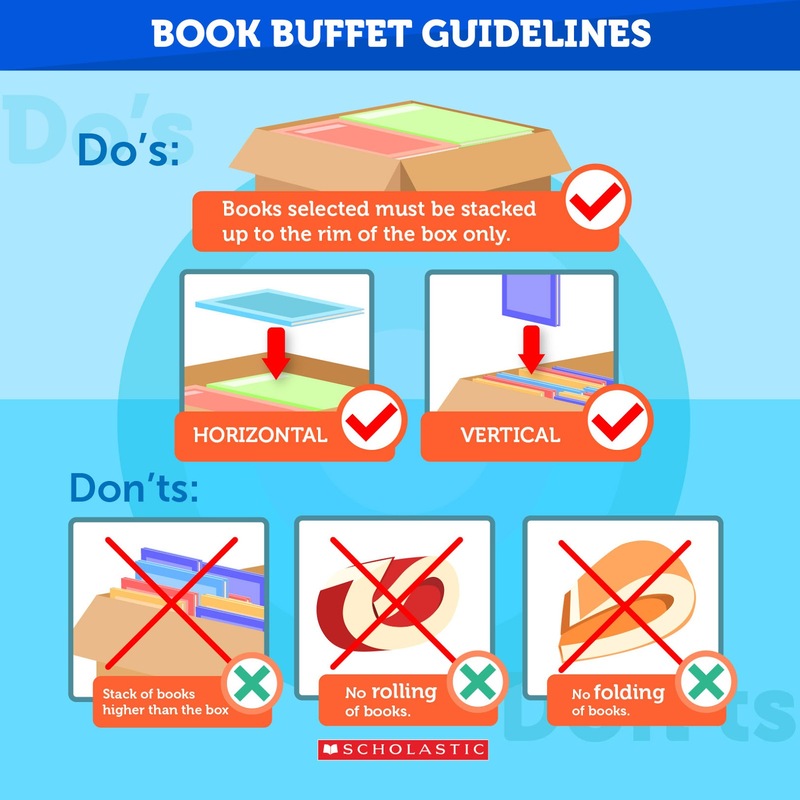 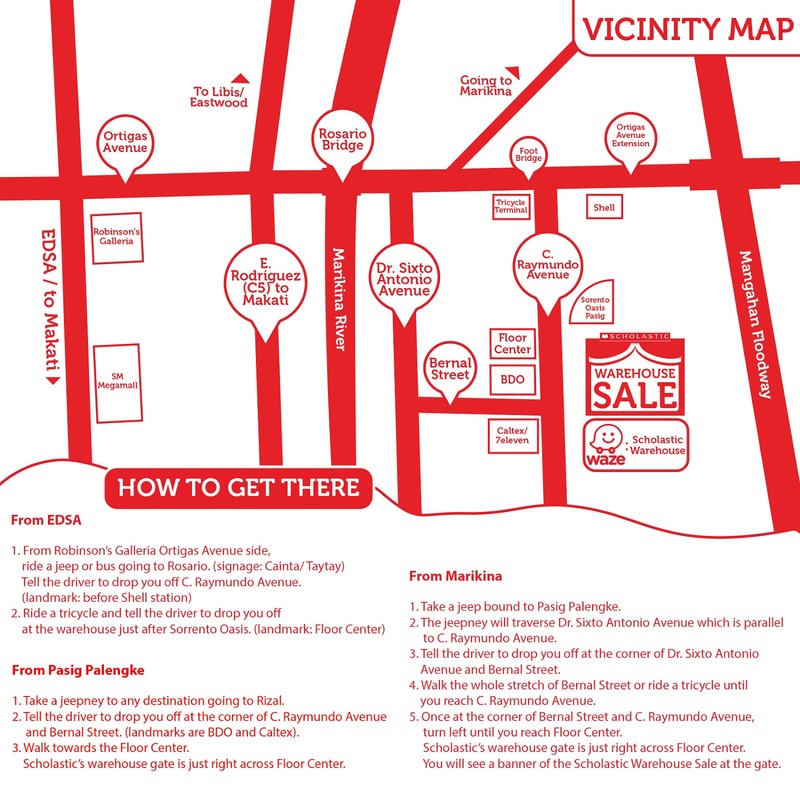 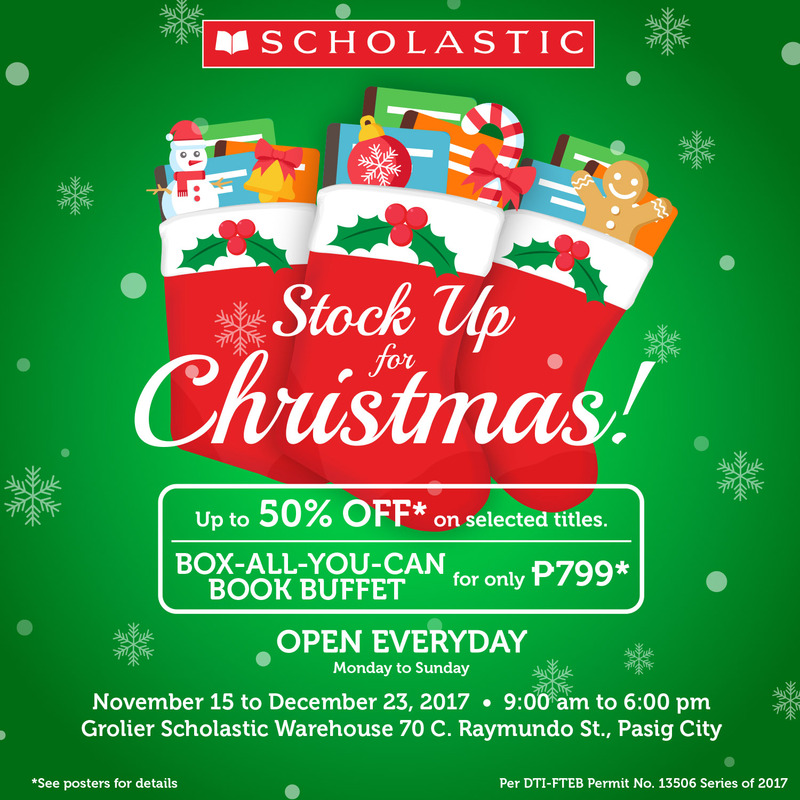 It’s that time of the once again for the Scholastic Warehouse Sale and Book Buffet, which runs until December 23, 2017. 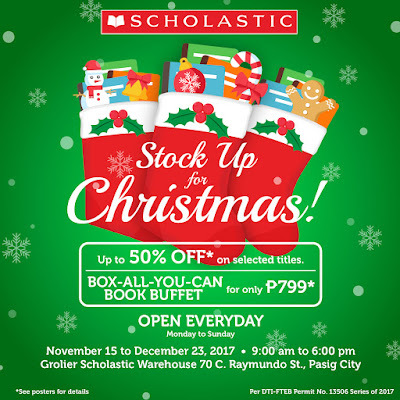 As always, enjoy up to 50% off on a wide selection of picture books, fiction and nonfiction books, popular series, references, inspirational, arts and crafts, and teacher’s resources! They are open everyday from 9am to 6pm , even on Sundays. 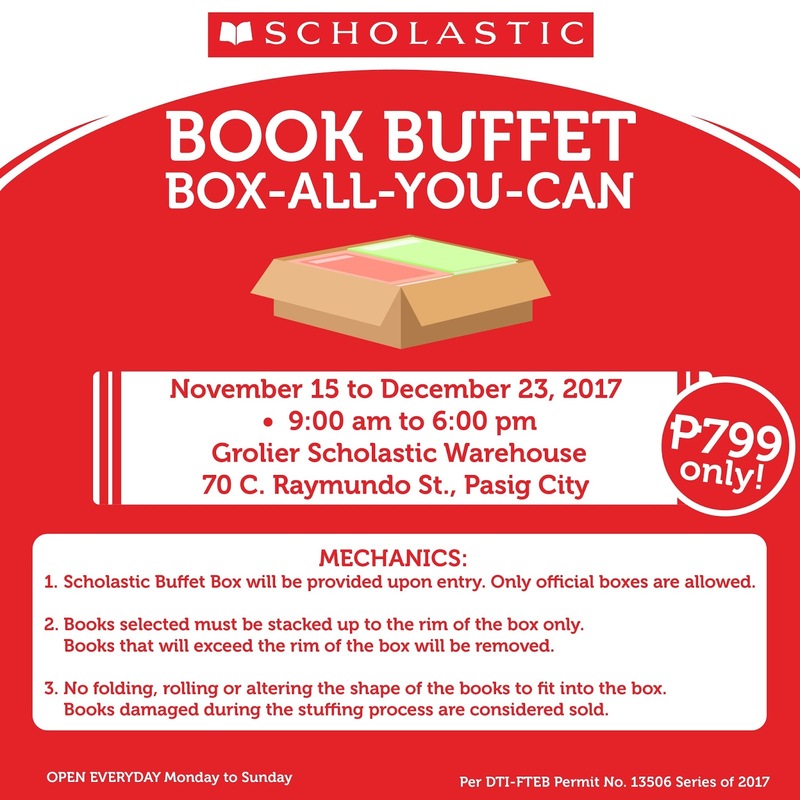 Of course, the much-awaited Box All You Can Book Buffet for P799 only, should not be missed!